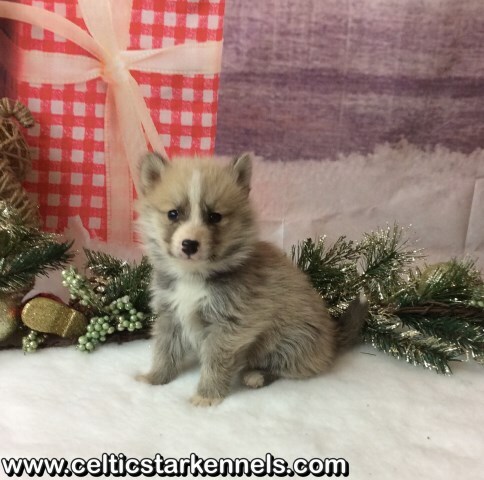 Celtic star kennels are proud to announce a rare opportunity to own a true to type Pomsky with outstanding bloodlines! Mum is our ice blue eyed, small type, very petite Siberian Husky. She is very loving, playful, loyal and has a fantastic friendly temperament. 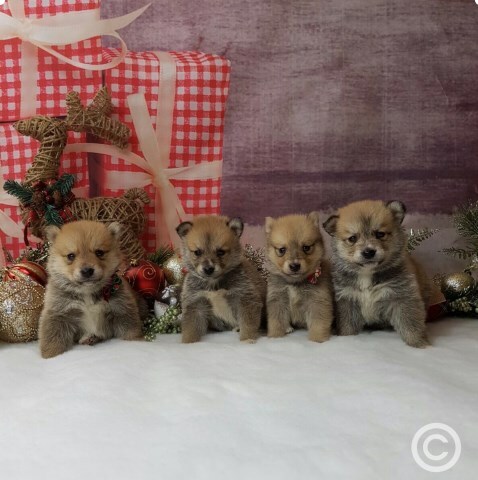 Dad is a Russian import Black and Tan Teacup Pomeranian, Selectively bred, together they have produced quality puppies (Genuine tiny Pomsky's). Our puppies are home reared as a part of our family with young children, socialised with other dogs. They are use to children picking them up playing with them, our puppies are use to the noises of a baby and everyday house hold Activity. All pups are vet checked twice, given parvo and first full set of vaccinations, have been regularly wormed from 2 weeks old, microchipped and fully insured with 4 weeks free insurance, giving you peace of mind when leaving for their new homes. Pups will also leave fully paper trained. With a puppy pack also a booklet full of information and knowledge we have picked up over the years with the breed. Diet plan will be giving in writing to ensure the right development. 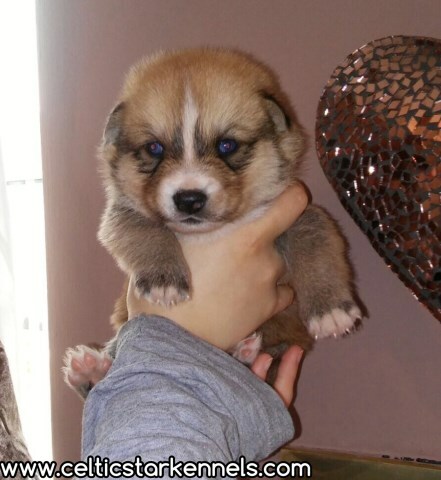 Puppies come with supply of food what they have been raised on, we use only the best meat based 100% natural holistic balanced complete puppy food, the best Diet is a must and important in our pomsky puppies development. 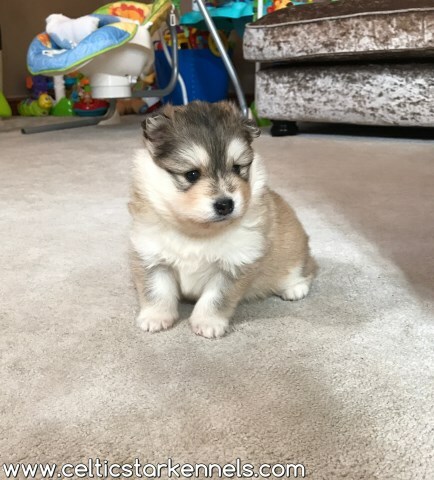 It doesn't end there you can contact us for help or advice at any time.To secure one of our pomsky's we are now taking Deposits. 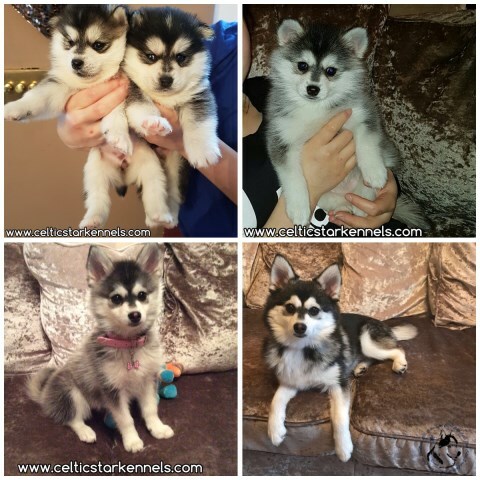 We are Pomsky specialists and have many years of experience within the breed. Our reputation speaks for itself with past litters. Please no photo collectors, viewings are welcome. If you think you can offer one of our puppies a forever home, please call for more Information or apply by application form on our website thanks.